Unmissable, coveted and precious: we present to you the selection of the best-selling jewellery in our store, all those items your jewellery box can’t be without, so that you always have the trendiest accessories! Which Nomination jewellery pieces are our most wanted? Many of our Composable Charms, the iconic tiles used to put together beautiful bracelets that can be customised for you or as a special gift. But among our best sellers there are also numerous necklaces and earrings for her, and bracelets and accessories for him. Find out which are Nomination’s best-selling pieces and make them your own! 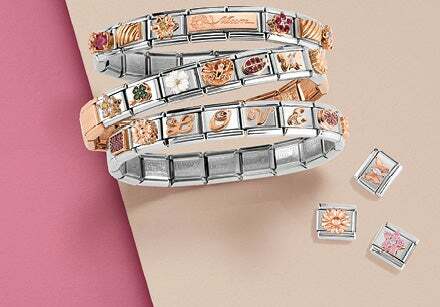 Among the Nomination must-haves there are numerous Composable Charms: precious tiles used to create a personalised bracelet that speaks about you and your passions, or to dedicate to someone you love. Among our best-selling Charms there are many that talk about love, but also about the affection between sisters and between mother and daughter. There are even letters made of gold, silver and shimmering stones, to spell out your name, wear your initial, or compose a message to give to someone you love. And then there are links dedicated to travel, to our animal friends, to the most important moments of our lives. And finally, among the best sellers, we have the Composable Charm that can be engraved with any words of your choice, for a truly unique and personalised gift for someone you love. 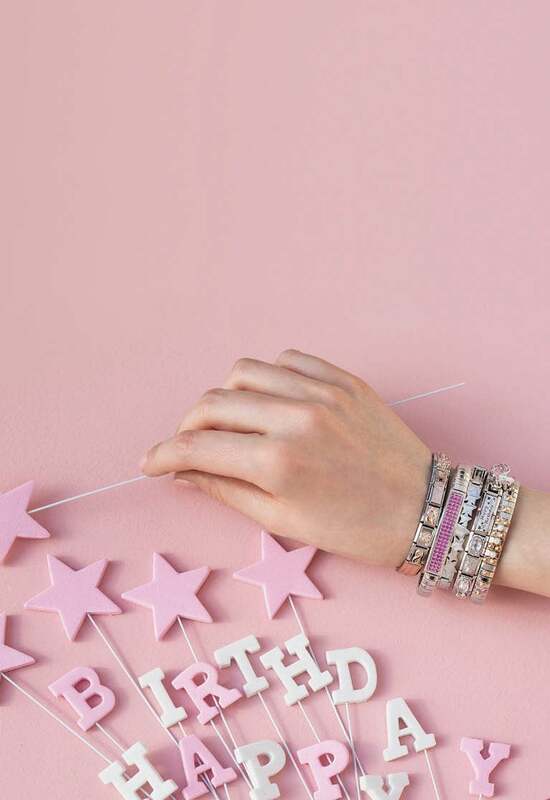 Among the best-selling jewellery dedicated to her there are numerous ready-assembled Composable bracelets,perfect as a special gift for any occasion. There’s the more romantic bracelet, perfect for anniversaries, but also ones dedicated to your mum or sister, to always carry with you a memento of these most special bonds. There are even bracelets with symbols dedicated to motherhood and family, perfect as a thoughtful token for a new mother. 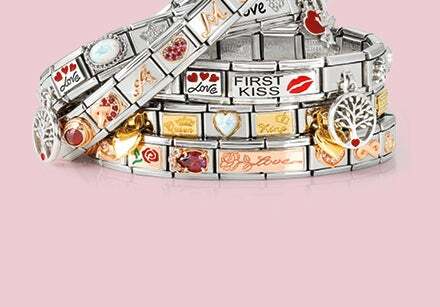 But Composable bracelets and charms are not Nomination’s only best sellers; there are also many necklaces, earrings, rings and bracelets with or without charms to wear on any occasion. Discover them all! Among our best sellers there are also many jewellery pieces dedicated to him, all waiting to be discovered if you are looking for a gift for a man who is important to you, or if you need inspiration to choose a trendy accessory. 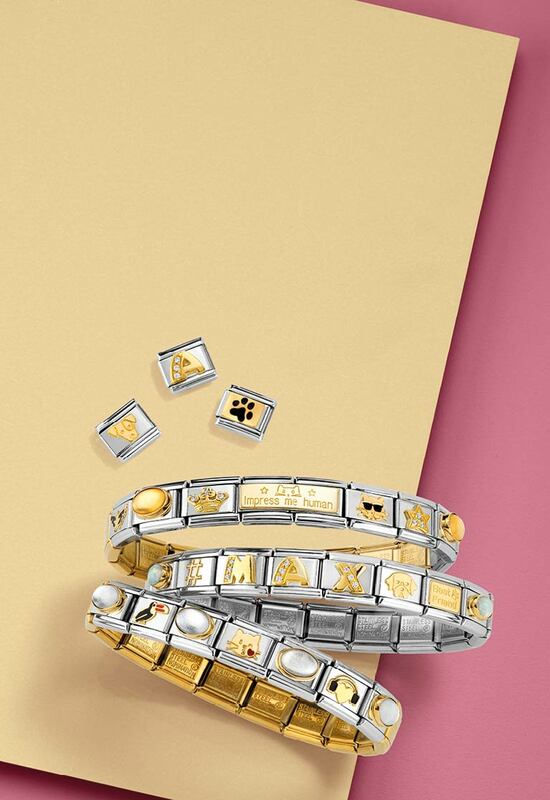 In our range of best-selling men's jewellery there are many Composable Charms made of steel and silver, decorated with details in enamel and yellow gold, with many symbols dedicated to family and to personal passions, also on the ready-assembled Composable bracelets. There are even bracelets embellished with dark shades, inserts and engravings, perfect for a man with a refined look, who leaves no detail to chance.